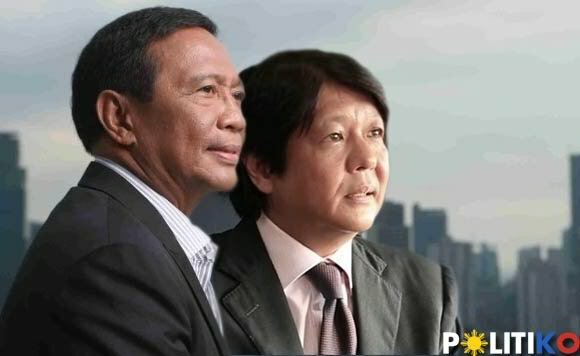 Vice President Jejomar Binay recently rejected Pnoy’s plan to initiate a People Power protest should the leading vice presidential candidate Senator Bongbong Marcos wins. The President also vowed his life to stop the controversial presidentiable Mayor Rodrigo Duterte from governing since he is now leading on the poll surveys. It is remembered that V.P. Binay was one of the main opposition leaders who convinced Duterte to run in the upcoming election – thereby giving alternative to voters who do not want to vote for him amidst the highly publicized corruption allegations that went nowhere. This is a strategy not to give chance to the reigning Liberal party to extend their stint. Now that INC has officially endorsed the Duterte-Marcos tandem, chaos is foreseen with large possibility to reach the “failure of election” status. Whatever the President may end up doing for the tandem that he detests, V.P. Binay will be totally against it. Pls send me update … Thank you. SALAMAT BINAY, NAGBIGAY KA NG NAPAKAGANDANG HALIMBAWA SA PAMILYANG PILIPINO…………KAHANGA HANGA ANG STRATEGY NA GINAWA MO………….SINIGURADO MO ANG KAPAKANAN NG MGA PILIPINO……….KAILAN MAN HINDI KA MALILIMUTAN………..ITATATAK SA KASAYSAYAN ANG GINAWA MONG KABAYANIHAN……..MABUHAY KA BINAY…………ISA KANG BAYANI NG LAHING PILIPINO……..PAGPALAIN KA NG ATING AMANG DIOS NA MAKAPANGYARIHAN………..
mabuti pa si Binay, naiintindihan ang clamor ng sambayanang Pilipino na pagod na sa pamumuno ni Pinoy. He’s truly a good man. Oo nga pero paano yung atraso niyo sa taong bayan regarding to corruption? Salamat Vice President Jojo Binay ..